Ask them what they want, then actively listen. What does ‘actively listen’ really mean? 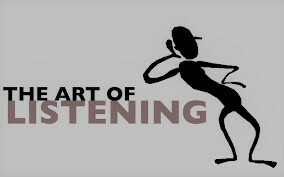 Wikipedia identifies Active listening as a communication technique that is used in counseling, training, and conflict resolution. It requires that the listener fully concentrate, understand, respond and then remember what is being said. Script example of how I used this. Me: I agree, so you drive every day from XYZ to the city which is roughly 35km through horrible traffic? Me: Should I use the same credit card to upgrade you immediately and I can arrange to waive waiting periods for XYZ as a bonus. I think you get where I am going with this one. It’s about knowing your product or system well and listening to your customers to see where you can deliver better value to them. I am assuming as a tester we look at the entire product not only from a testers/technical perspective but also from the business view point. It all goes back to producing robust stable software that meets the business needs but as a tester we need to ensure we understand what the business needs are first. This is where Agile methodology supports the tester to achieve this by including testers from the very beginning of the development journey through to the end. Next Day 15 – How can you make your testing process (more) lean?